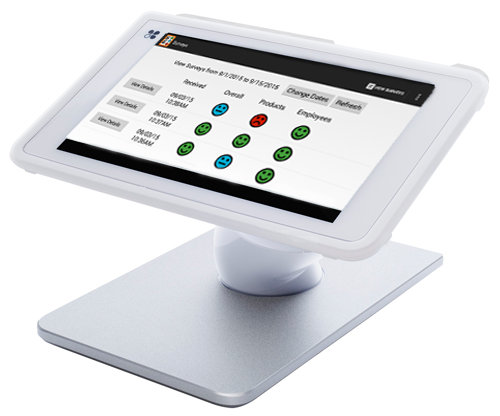 Yes, you have your Clover Point of Sale system, but do you really know what your customers are experiencing? Get the feedback you’re missing to effectively grow your business. Customers are automatically encouraged to complete a survey from your printed and digital receipts. Get connected with your true customer experiences (both good and bad). Employees can be held accountable and you can make changes to increase customer satisfaction, which will take your business to the next level. 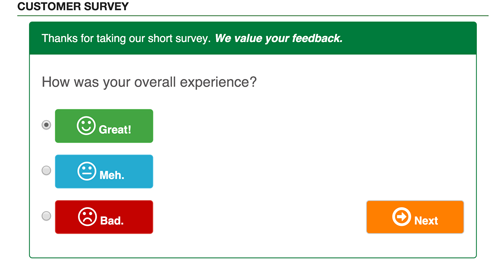 Customer Survey is bright, fun, friendly, and very easy to use. 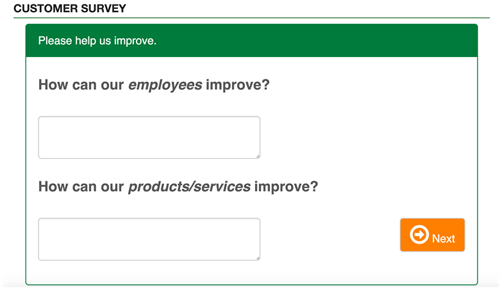 It’s optimized for laptops and mobile devices – customers complete survey conveniently on the go. Survey is optimized so that it’s very fast and easy to complete as a customer, yet it accurately captures what data is most vital to your business. Yelp URL is provided but only if a customer ranked the overall experience, employees, and products/services favorably. Make changes based on customer feedback to increase customer satisfaction and loyalty. 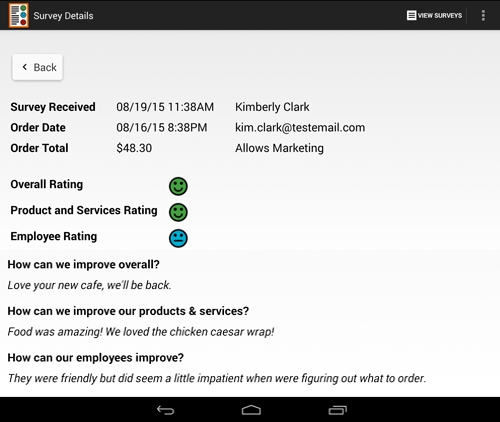 It’s optimized for mobile devices – customers complete survey conveniently on the go.